The Broad Foundation gifts will support researchers in digestive diseases (pictured) and stem cell science. The gifts bring to $30 million The Broad Foundation's total support of faculty recruitment and basic and translational research at the Eli and Edythe Broad Center of Regenerative Medicine and Stem Cell Research at UCLA and at the Center for Inflammatory Bowel Diseases at UCLA's Division of Digestive Diseases. A $2 million gift to the Broad Stem Cell Research Center adds to The Broad Foundation's original 2007 gift of $20 million, which has supported faculty and research and launched the Innovation Award program, which furthers cutting-edge research at the center by giving UCLA stem cell scientists "seed funding" for their research projects. 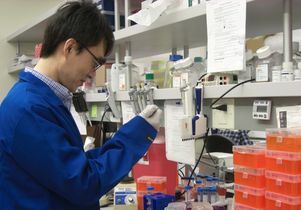 The new gift will enable the continuation of the award program, which has yielded a 10-to-1 return on investment with grantees securing additional funding from other agencies, including the National Institutes of Health and more than $200 million in total grants from the California Institute for Regenerative Medicine, the state's stem cell agency. "The Broads' generous support has been essential to the development of new therapies that are currently in, or very near, clinical trials for treating blindness, sickle cell disease and cancer," said Dr. Owen Witte, director of the Broad Stem Cell Research Center. "The Broad Stem Cell Research Center's work, supported by critical philanthropic and other resources, is quickly being translated from basic scientific discoveries into new cellular therapies that will change the practice of medicine and offer future treatment options for diseases thought to be incurable, such as muscular dystrophy, autism and AIDS." The gifts have enabled the division to develop a comprehensive research and clinical enterprise focused on inflammatory bowel disease, one of only a few such centers in the world. Earning a multifold return for The Broad Foundation's initial investments, these grants have enabled investigators to secure $11 million in funding from pharmaceutical companies, the National Institutes of Health and nonprofit foundations. 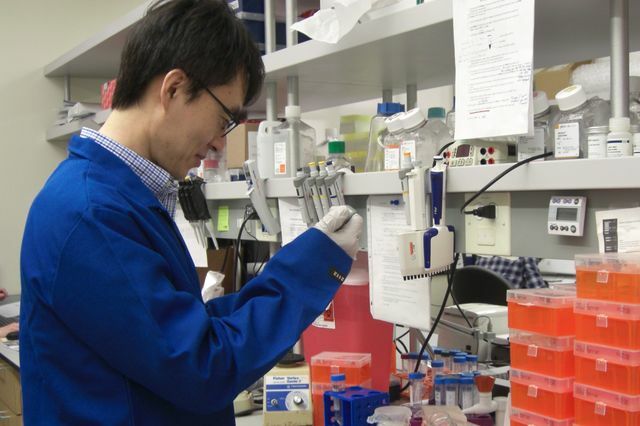 In addition, The Broad Foundation's Broad Medical Research Program has provided more than $600,000 in grants to UCLA researchers over the past decade for the study of inflammatory bowel disease. The new gift will support the Center for Inflammatory Bowel Diseases and research led by Dr. Charalabos "Harry" Pothoulakis, the center's director. Pothoulakis' team conducts research aimed at identifying the molecular mechanisms involved in the development of this group of chronic debilitating diseases, for which there is no cure. The researchers have led the way in revealing how neuropeptides and hormones contribute to inflammatory bowel diseases and the roles of obesity and fat tissue in their development. The team has created a unique human fat cell and fat tissue biobank, and its investigations hold great promise for the development of new drug treatments for Crohn's disease and ulcerative colitis. Research is a cornerstone of UCLA's mission, and the Broad gift highlights the crucial role philanthropy plays in advancing science. 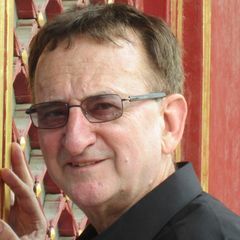 "The Broad Foundation's longstanding support has had a far-reaching impact on advancing investigations centered on inflammatory bowel disease, including the recruitment of distinguished scientists, and support for pioneering research programs and innovations in clinical care," Gitnick said. "Many of the cutting-edge models being used within our IBD programs, such as tissue biobanks and rapid data analysis for drug discovery, have wide-reaching applications for other diseases as well." The UCLA Division of Digestive Diseases’ clinical, research and training programs engage in creative and innovative approaches to understanding and treating gastrointestinal disorders. The division celebrated its 60th anniversary in 2013 and it is continually ranked among the top 10 digestive diseases centers in the United States in U.S. News and World Report's annual survey. The Eli and Edythe Broad Foundation was founded by entrepreneur Eli Broad and his wife, Edythe, to advance entrepreneurship for the public good in education, science and the arts. The Broad Foundation invests in innovative scientific and medical research in the areas of human genomics, stem cell research and inflammatory bowel disease. In an unprecedented partnership with the Massachusetts Institute of Technology, Harvard University and its affiliated hospitals and the Whitehead Institute for Biomedical Research, the Broads committed $700 million to create and endow The Broad Institute, the world's leading genomic medicine research institute that is focused on using the power of genomics to understand human disease. The Broad Foundation has also invested in advancing stem cell research, particularly in California through the creation of the Eli and Edythe Broad CIRM Center for Regenerative Medicine and Stem Cell Research at USC, the Eli and Edythe Broad Center of Regenerative Medicine and Stem Cell Research at UCLA and the Eli and Edythe Broad Center of Regeneration Medicine and Stem Cell Research at UCSF.